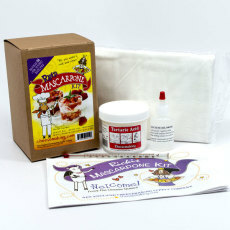 Make your own mascarpone cheese at home with this kit! Ricki's Mascarpone Cheese Kit gives you the tools you need to get started making your very own mascarpone cheese at home! 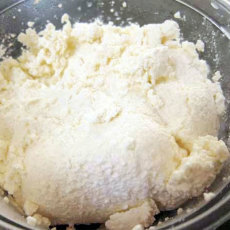 Mascarpone cheese is a creamy, rich cheese from the Lombardy region of Italy, and is a delicous treat! Most famous for its use in tiramisu, it can also be spread on bagels and toast, used in truffles, put in crepes and on waffles, the list goes on! 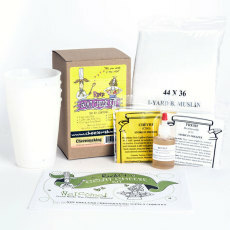 This kit comes with a recipe booklet, tartaric acid, liquid calcium chloride, butter muslin, and a cheese thermometer. 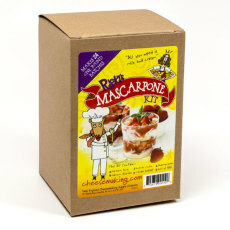 Using these and a few simple tools from the kitchen, you can transform milk and cream into fantastic mascarpone cheese! 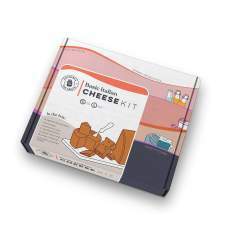 The recipe book not only tells you how to make the cheese, but also gives you multiple recipes for use with your mascarpone cheese! Tartaric acid and calcium chloride should be stored tightly sealed in original package in a cool, dry place.They will both keep indefinitely if stored properly.